According to a recent SkillsUSA infographic, 83% of companies report a moderate to serious shortage of skilled workers. With so many folks retiring from skilled trade positions and not enough entering these industries, everyone is feeling the strain of hiring craft workers. The struggle to find quality skilled trade workers has lead even major household names like Bridgestone/Firestone to get creative. When Bridgestone’s family of retail centers needed to fill multiple auto repair technician positions in their bay area stores, they joined forces and put on a hiring event at one of their locations. Candidates would be interviewed and offered right on the spot. With the date and location set, the Bridgestone/Firestone recruiter in charge of promoting the event posted the details to every outlet at his disposal. 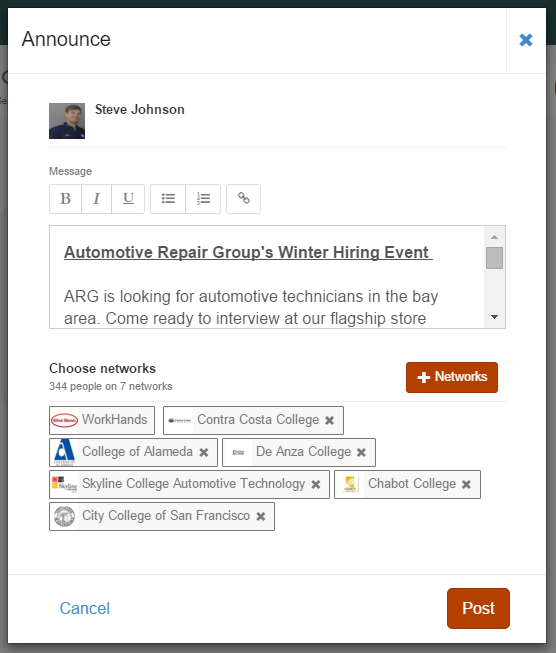 As a WorkHands recruiter, he also posted an announcement to all of the trade school networks he partnered with on WorkHands. After the event, the recruiter relayed that 50% of the candidates they hired that day came from the WorkHands’ announcement. He said, “…the turnout from WorkHands was very good!” The announcement not only brought attention to the specific hiring event, but also sparked connections on WorkHands that will last beyond the event. He connected with automotive technicians, automotive students, alumni, and instructors at automotive training programs that will benefit both parties for the foreseeable future. Want to try recruiting on WorkHands? Get started as a recruiter now to find, connect with, and hire qualified trade workers on WorkHands. We have plans to fit your company. If there’s any other way we can help, contact us. We hear about the skills gap all the time, but where does this gap come from and what are the facts behind this term? The core of the problem is that baby boomers are retiring out of skilled trades jobs and many younger people are, for a variety of reasons, choosing alternate paths. According to Adecco, over half of American skilled trades workers are over 45 and 62% of firms struggle to fill skilled trades positions. While skilled trades jobs were the core of the middle class when the boomers were coming of age, now the workforce is more diffuse. Caterpillar notes that only one third of parents today encourage their kids to go into the trades. What does the skills gap look like on the ground? Employers we talked to cite hiring as one of their biggest pain points. Joseph Bohm of Dual Fuel said that on a scale of 1-10, his hiring difficulty is a 10. “It’s not the process, but the quality of candidates,” Bohm explains. Blake Foster, who owns SpeedShop in Utah, has had the same problem. “I don’t want to sift thru McDonalds resumes to get a welder or sales VP,” says Foster. To test out candidates, Foster starts by giving them a piece of scrap metal and a tig welder, and asks them to weld anything. Of course, the skills gap gets wider or smaller based on location and profession. Companies that hire at various locations around the country find that certain areas have more skilled trades workers than others. The difficulty in hiring is large enough to affect how some companies are structured. The skills gap is real, and it’s only getting wider. Everyone from trade schools to recruiters to policymakers will need to figure out how best to operate in this economy. What’s the right skilled trade training program for me? Apprenticeships, when you can find them, offer some of the best training value. These programs typically last 4 years with both classroom and hands-on elements from the beginning. Best of all, they allow students to earn income by working in related jobs throughout the program. The biggest commitment on the student’s end is time as these programs typically run 2-4 years–for example the Bay Area Roofing and Waterproofing Apprenticeship Program takes three and a half years. Still, the combination of learning in a program and on the job while earning part-time wages makes apprenticeship programs one of the best options for many students. Many of these programs are not technically trade schools, but they graduate the majority of skilled trades workers today. They tend to be two years and grant associate’s degrees or certifications. Typical tuition is several thousand per semester, but sometimes arrangements with local employers can be made in which they cover tuition in what amounts to a work-study program. 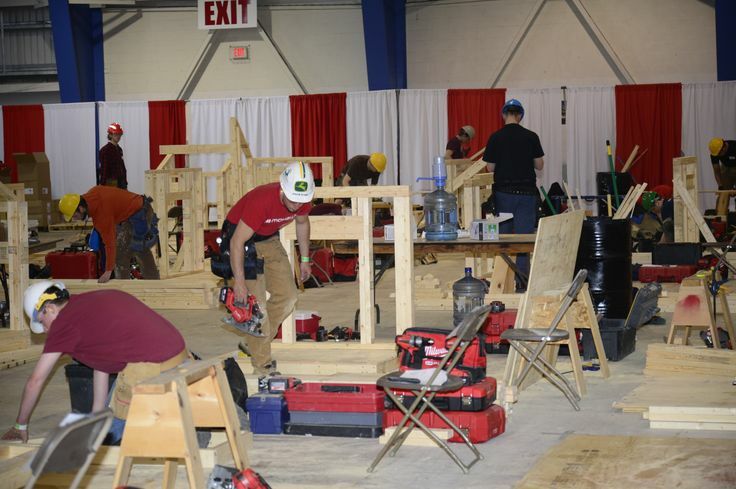 As the name suggests, a vocational high school is focuses on skilled trades training at an early age. Often these schools offer a variety of programs across many fields. For instance, the Apollo Career Center in Ohio has programs in automotive technology, building maintenance, welding fabrication and also cosmetology, design and cooking. These schools also have typical academic courses in English, math, etc. Other high schools are not as focused on the skilled trades as vocational high schools but still provide solid training in skilled trades through shop programs. Petaluma High School, for instance, is considered a general high school, but offers multiple courses in subjects such as agriculture, construction and technology. These programs take learners with little to no background in the skilled trades and get them ready for an apprenticeship in 3-6 months. Often these programs are targeted at adults looking to get into the workforce quickly. CityBuild in San Francisco has 18-week tracks in construction, tech and other growth sectors. This is the high-end option. Programs are expensive–think $30,000 for 12 months–but they are effective at training and offer top-notch placement rates. These schools often focus their resources in a relatively narrow range of disciplines. Universal Technical Institute and Wyotech, for example, are both largely concerned with the automotive trades. This category has some interesting options at a more affordable price. Technical Employment Training in San Bernardino, CA is an innovative school that matches student skill sets with industry needs to get a placement rate above 80%. These sorts of schools can be fairly distinct from one another, and a bit harder to find so they deserve individual investigation by prospective students. A wide range of factors will go into a student’s choice of school, including the student’s age, experience level, and what fields interest them. Even after those are factored in, most students will have more than one type of program as a potential fit. To gain a broad understanding of skilled trades training, let’s take a look at some of the statistics that define skilled trade training programs. While a Bachelor’s degree is certainly an asset, in today’s economy one is hardly necessary. A 2012 study found that 70% of the American workforce did not have one. This fits with the American employment profile. The greatest portion of jobs—42%—are considered “middle-skill”, and these typically require an Associate’s degree or some college. However, only about 8% of the American workforce has an Associate’s degree, which starts to hint at the skills gap that skilled trades industries face every day: in most skilled trade industries, there are far more jobs than workers. According to a 2008 study by the Bureau of Labor Statistics (BLS), 3.7% of public high schools are career/technical high schools. A quick dive into the numbers shows that students at technical high schools have a different experience than other high schoolers. Technical high schools are more likely than others to provide structural continuity through block scheduling and having the same teacher over two years. They are also much more likely to have special admissions requirements than a standard public HS. While many high schools provide a general education, 61% of technical high schools have a “career academy”– a school within a school that sets students on a specified career path. There programs offer students two central choices: go to college or start a career right away. From the conversations we’ve had with instructors, about 90% do one or the other. According to 2007 data from the Bureau of Labor Statistics, 2,687 technical/career schools offer an associates degree in the United States. Of these, just under half are public schools, including community colleges, and 80% of those are two year programs. There are 529 private for-profit programs, and all of them are two-years. The private not-for-profit schools have a different profile. There are 895 and just under half are four-year programs. Most of the rest are less than two years—which is unheard of among public schools. These numbers paint a broad picture. Community colleges follow set patterns based on the September-May school year, and two years is the norm. Private for-profit schools follow this same pattern. Private non-profits are where you get variety—most 4-year programs and programs under two years are private non-profit. These are the schools where educators are trying new models and new ideas. Technical Employment Training (TET), for example, is only six months for most students, and boasts an 82% hiring rate. They achieve this by tailoring the program to employer needs and carefully placing students in tracks where they are most likely to succeed. By honing in on a student’s natural proclivities, TET trains students for the workforce in the equivalent of one school year. Manufacturing and agriculture are the most popular trade training sectors. An Associate’s degree averages $2,700 a year in tuition. Agriculture degrees are a bit less: $1,900/$9,300 a year for an Associate’s degree while manufacturing degrees are the most affordable with an Associate’s degree costs $8,000 a year, on average, once basic expenses are totaled. And how do these jobs pay? 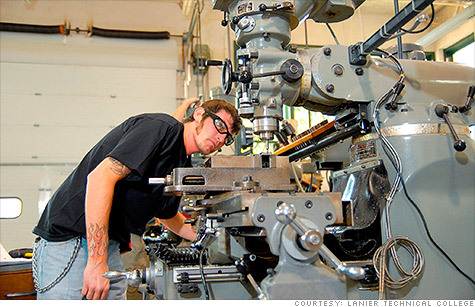 A starting manufacturing engineer makes over $62k, according to Salary.com. Entry-level mechanic technicians and farm equipment mechanics start significantly lower: about $40k. These are national figures, and can vary significantly based on company and location. The costs of a skilled trades education vary significantly by field, but are generally lower than a traditional Bachelor’s degree and all direct students toward solidly middle-class wages in reliable fields. Funding is a necessity to keep schools running with strong programs and updated equipment. While the bulk of most school’s funding comes from government grants, company donations can also be a key supplement to your program. A good way to organize your funding efforts is to go from national to local covering everything from the federal government to the dealership down the road. Federal grants require a lot of work, but the payout makes them an essential source for most skilled trades schools. Here is a helpful list of grants available to a variety of programs from the Department of Education. It’s also important to keep an eye out for new initiatives. The Department of Labor is offering up to $100 million in grants for apprenticeship programs. Applications for that particular grant are due on April 30th. How about your state government? There’s only one way to find out. Search your state’s website for programs around labor, education and workforce development. Often you’ll get the fastest results by picking up the phone. The next step is to consider your school’s potential employer partners. Corporate-sponsored programs can provide an essential infusion into your training program. Take Chabot College’s BMW program, for example. Chabot gets needed equipment for their program, and BMW ensures that their future employees are learning to work with their exact tools and equipment. Both sides strengthen a key partnership. “I have a bridgeport that we should have paid $7K for, paid $1.5K. I should’ve paid $2K for a horizontal band saw that I got for free,” says Braham Area High School’s Luke Becker, who raised $65,000 in grants and donations last year. Lastly, remember this rule: you can’t expect anything if you don’t ask. It’s best to ask for the specific items and amounts that you need, and explain how they will make the educational experience better for your students. This shows that you have the knowledge and planning to provide a top-level education, and the things you could use more of are materials, equipment, and funds. “I had 9 companies write bigger checks than we were looking for,” says Becker. If fundraising ever seems awkward or tedious, watch your students at work and imagine what they could do with the latest equipment or a course module on a growing industry sector. No one knows skilled trade training better than the people who work with their students every day. 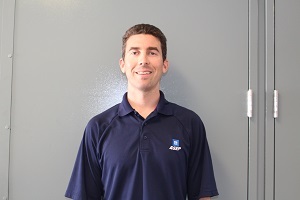 Joe Mulleary, an automotive instructor at Cerritos College in Norwalk, CA, spoke with WorkHands about the strategies guiding students from school to their first job. Tops on that list? Joe stressed the importance of getting students real-world work experience while they are still in the program. This back and forth between classroom time and job experience allows students to solidify knowledge and make career connections. This is made possible by a lot of legwork upfront by Mulleary and his colleagues. This helped plant some seeds, but it was up to Joe and his team to nourish these relationships. Establishing these connections is a major part of the job. Students, of course, are the other half of the equation, and they, too, require individual attention. “Number one is that we work with students on resumes,” says Joe. If a student doesn’t secure a job on the first pass, Joe essentially goes through a checklist of possible causes. Students need to be comfortable working online and in-person to find that next job. The benefits of securing employment go beyond just getting a paycheck. Since 2009, unemployment has begun to decrease back to the levels it was at before the financial crisis of 2008. The skilled trades industry was one of many that was changed forever by the Great Recession, but employment opportunities for blue collar workers look optimistic. With over 3 million skilled trades jobs currently available in the United States, what’s stopping you from getting into a great job? Thanks to our friend, Monica Gomez for creating and sending us the infographic. Now let’s fill those 3 million skilled trades positions! Editors Note: Reprinted with Permission. Please check out Kimberly’s Blog for more articles like this. I was also in the queue for consideration under the Fraunhofer Institute/Sandia National Labs Micro-grid/Nano-grid project collaboration that was tabled indefinitely late last year. And just a couple of months ago, I was in the queue to work on Chevron Energy Solutions/Chevron Renewable Power Division as a Investment Structuring Analyst/Associate for PV and geothermal plants, but these projects were placed on hold indefinitely as a result of the government shutdown. Plan A – Starting in 2001, I volunteered at the Resource Renewable Institute, to learn more about this operatives renewable energy and sustainable development. I also performed due diligence for The Rahus Institute on why more PV systems were not being installed on K-12 schools in California. From 2004-2010, pursued academic coursework at a veritable plethora of universities in the USA, The Netherlands and the UK. I also completed PV Design and Installation coursework with Solar Energy International and at Diablo Valley College. For a year, I helped design and install solar PV systems on residences. Eventually completed a post-graduate degree in renewable energy systems technology engineering in 2010 at the Centre for Renewable Energy Systems Technology (CREST) a part of Loughborough University in the Midlands of the UK. Plan C - Started falling back on my chef skills as an Eco-chef; swapping my services for short-term housing, if pay was an issue. Plan F - My present aim is to secure a certificate in Industrial Maintenance [welding, machining, hydraulics] at Laney College, because our first world nation with a third world infrastructure is going to break HARD, and it will require having more talent who not only knows how to design, but also knows how to fix and tune, on-the-fly in the field. Reputation is important–it’s how you get hired in the trades. We built WorkHands so that workers in the trades could easily put their skills online and let the world see what they can do–just like on a job site. A WorkHands profile allows you to enter information on what tools you use or own, what certificates you have, and to share pictures of your past projects. Each section of your WorkHands profile plays a role in demonstrating your skill to your network. Let’s take a quick look under the hood at the different parts of a profile. We often hear that the “Proof is in the Pudding,” and at the end of the day people will judge you for the work you’ve done. 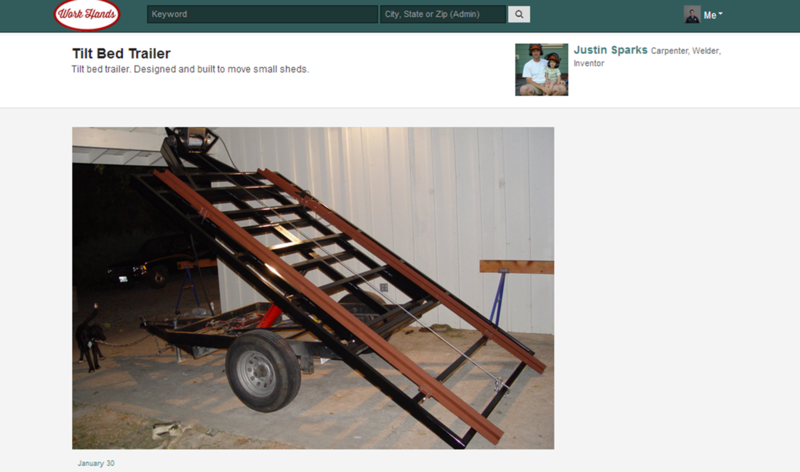 That’s why we feature pictures of work prominently in your profile. Just finished a great weld or finished up some intricate woodwork? Take a pic with your phone and upload it to your profile! Licenses and certs are critical in the trades. Whether it’s AWS, NCCER, NIMS, OSHA, ASE or others, chances are in your trade you need to prove that you’ve got the skills. Keep track of them (and display them) on WorkHands. We’ll even remind you when they’re about to expire. When you walk into a shop or on a job site, it’s expected that you know your way around the tools of the trade. Some jobs require that you bring your own set tools, (or at least your own PPE). 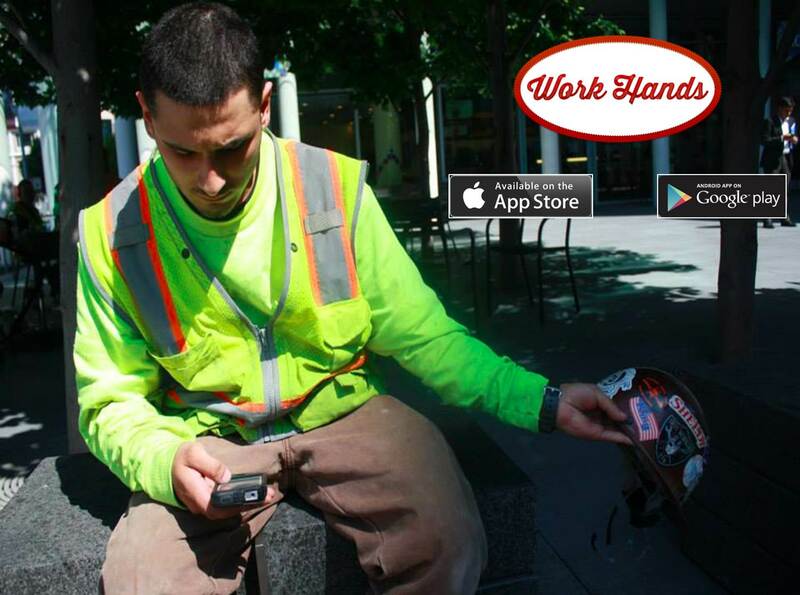 With WorkHands, you can show which tools you’ve worked with in the past and which you own and operate. This is standard information that you’ll find on most resumes, and we include it as well. We’ll list out your work and school experience to show the detail behind the years you’ve spent in the trades. We also organize your contacts. These are people you’ve worked with or studied with in your trade. You include your references, former supervisors and foremen, or just your buddy from that job site in Texas. A good network can go a long way in getting you hired, so make sure to add yours. Interested? Sign up (free!) and get started on your profile today. 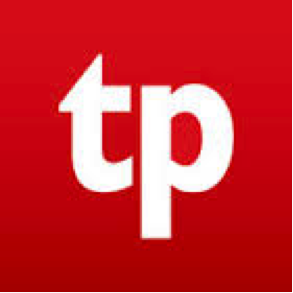 tpMobile – tpMobile is used to help truck drivers and their fleet managers meet the hours of service regulations for drivers and also keeps track of vehicle data such as fuel economy, gas levels, and engine repair warnings. Fleet managers are then able to receive the driving data from a secure website. BigRoad – BigRoad helps truck drivers keep track of their hours of service and also offers vehicle inspection reports and GPS location check-ins. It has GPS locations of places that every truck driver will need such as truck stops, weigh scales, dealers, etc. and even provides real-time traffic monitoring. Construction Daily Report Log – Construction Daily Report Log creates project reports every day and is able to email those reports as a PDF to supervisors, customers, or anyone who wants up to date information. Punch List – Punch List allows you to store all of your daily project reports into one central location and to attach photos from a camera or phone and add comments to make the report more detailed. Construction Time and Material – Allows workers to record additional project demands beyond what was listed in the customer’s contract and offers an additional work authorization signature screen. 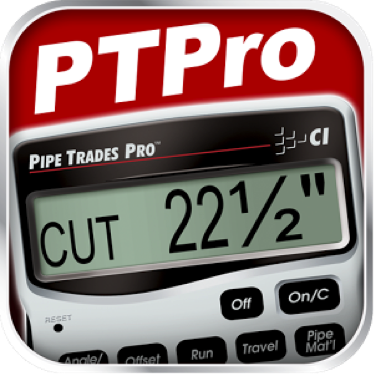 Pipe Trades Pro – For plumbers that are looking to be able to calculate pipe lengths, fill weights, flow rates, pressures, etc. from any style of pipe. Plumbing Toolbox from Glowworm – Offers plumbers the ability to contact management so that you receive a notification as soon as a customer request happens, and a place for information storage. PlanGrid – For construction workers and contractors to coordinate work with architects on their project plans, measurements, and photos. You are able to upload a PDF of drawings and make edits right on the screen. 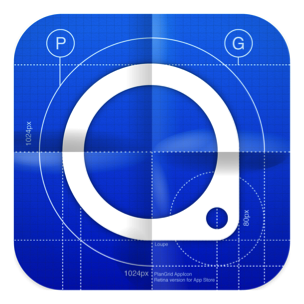 Miller Weld Setting Calculator – This app lets you get your weld parameter settings right from the screen of your phone or tablet. It is a handy reference for weld parameters, electrode/wire type, basic techniques, and process information for TIG, Stick, or MIG. Welding Journal – This app helps welders keep up to date on the latest products, trends, technology, and welding events with articles, photos, and illustrations. 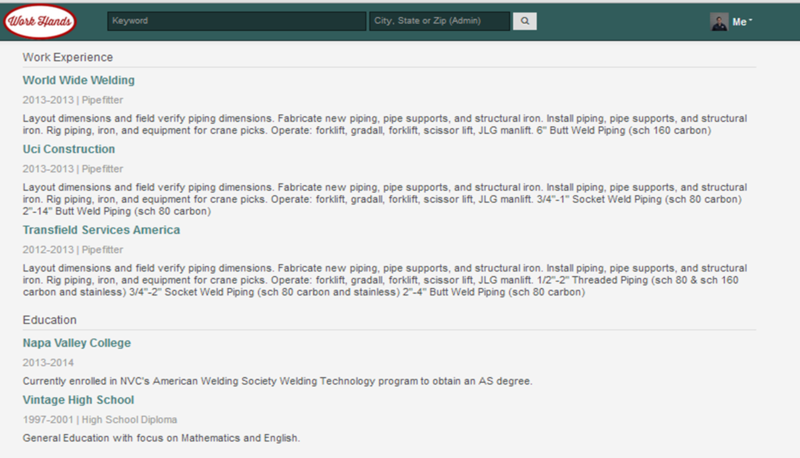 There are also educational articles on topics such as testing and inspection, maintenance and repair, design, training, personal safety, and brazing and soldering. 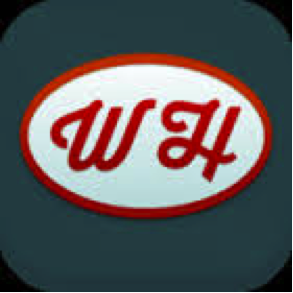 WorkHands App Anyone in any trade can use WorkHands to display examples of their work, references, skills, and work history. Connect with people in your industry from all over the country and share your personal experiences about what your day on the job looks like. Use your profile to stay up to date or to search and apply for jobs. Agree with our list? Did we miss an app you use every day? Let us know!